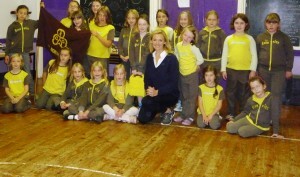 MAKING A PROMISE AT NORTHWOOD BROWNIES. Girlguiding Isle of Wight Ambassador and Olympic Sailor Shirley Robertson OBE paid a visit to Northwood Brownies recently. This was no ordinary visit though but a special Promise ceremony evening for one of the Brownies as the first Brownie in the unit to make the new Promise. Shirley who had been a Brownie and Guide in Scotland was thrilled to witness this ceremony not only as an Ambassador for Girlguiding but as Mum of one of the Brownies. With her daughter Annabel now joining Northwood Brownies it marked the progression and a big step for Annabel, who had previously been a Rainbow, when she made her Promise. An evening of games and making activities all based around chocolate was really enjoyed by all the Brownies who always have a varied range of activities at their weekly meetings and are just beginning to plan a Pack Holiday ready for next summer. 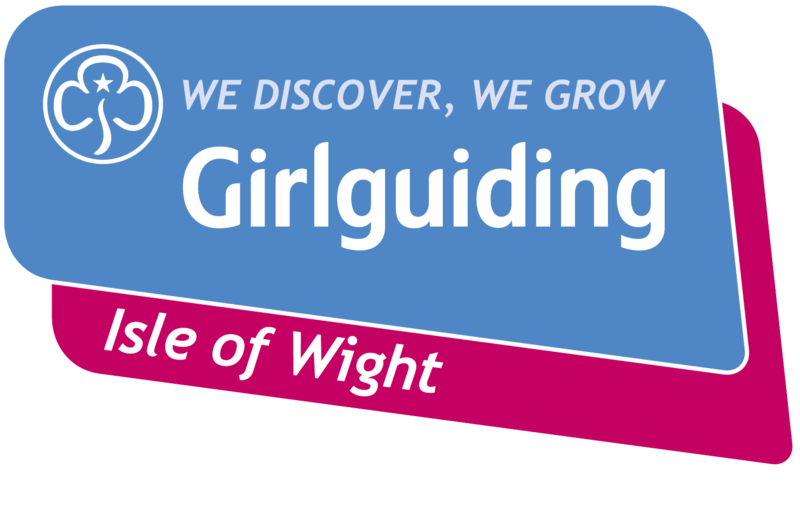 2014 sees 100 years of Brownies in the UK and all members of Girlguiding will be celebrating the Big Brownie Birthday during next year.